If you're still on the fence about how important positive online reviews are, consider how often we all encounter this situation. You’re headed out to dinner with friends or family when you suggest trying a new place but the group isn’t convinced. While everyone is talking amongst themselves, you whip out your phone to pull up their Yelp or Google reviews page. 4.6 stars with hundreds of reviews and comments. In less time than it takes to tie your shoe you’ve got the social proof you need to make your decision. Those hundreds of reviews quickly turned into hundreds of dollars for that restaurant and they didn’t say a word to anyone in your group or spend a single dollar on advertising. If those reviews had been poor, you would have just as quickly made your decision to not eat there and that restaurant would have lost out on your business without knowing why. Your print shop is no different. There are so many options for your customer. The truth is, in reviews and comments a conversation about your business is happening every day that you’re not a part of. It’s important to have social proof to back up the hard work you put into servicing your customers well and to bring some control of that conversation back within your grasp. So the question remains, how do you manage to control that conversation and garnish positive reviews without hiring a social content manager or adding hours to your day? Automation. By automating the generation of positive reviews for your shop, you’re able to control the conversation much more proactively and generate new business without spending a dollar of your budget or a minute of your time. 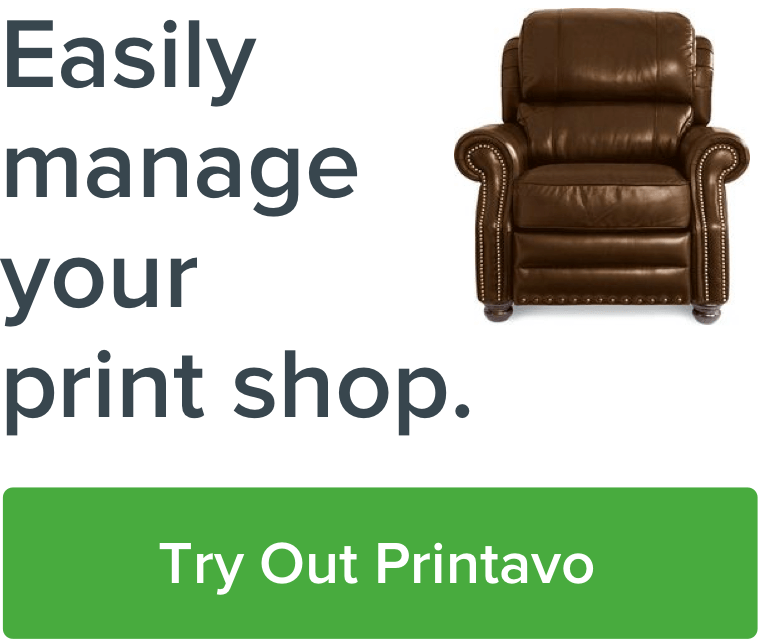 There are a lot of great tools for this but in Printavo, using a simple Status Change Notification sends your custom Thank You message and positive review request with a click of a button right within your workflow. Here’s the step by step. Create a Status Change Notification for your COMPLETED status (if you don’t want this to be attached to your COMPLETED status, simply create a new status with the name of REVIEW US or something similar). Type your customer Review Request message in the notification box. If you’re looking for inspiration, feel free to just copy ours below! We wanted to let you know we just got your payment and your invoice is all settled. Thanks for being such a great customer! If you had a positive experience, would you tell the world by leaving a review (insert hyperlink to your review page)? We pick at random, every month, one of our reviews to win an Amazon Gift Card. If you didn’t have a positive experience, would you let me know? Simply reply to this email, and if we can’t make it right, we’ll give you a full refund. No questions asked. Really. P.S. Follow us on Facebook and Instagram, too! Click Save and you’re all set to go! The final piece I would recommend for you to do is to use a tool to help you manage those reviews a bit more efficiently. I recommend ReviewPro specifically as it will automatically post your positive ones and hold the negative ones for you to review. This allows for you to hold just a little more control over the conversation and make sure you’re doing the best you can by your customers. That’s it. It’s that simple to ensure that your social proof through reviews is healthy and all you happy customers are able to easily tell the world their story about how great you really are! If you have any questions or want to share your experiences with how boosting your social proof has helped your business, we’d love to hear it! Let us know in the comments!